George Partridge Taylor married Minnie Belle Stearns, daughter of Edmund Houghton Stearns and Laura Wilder Rugg, in May 1, 1890. Marriage Jun 10, 1805 h/2; JWH: 4 Apr 1805; MLM: June 20, 1804; MLM: md for 1st mar. George Bezanson married Mary Millett, daughter of George Millett and Mary Annabelle Houghton, in Jun 10, 1805 h/2; JWH: 4 Apr 1805; MLM: June 20, 1804; MLM: md for 1st mar. John Mitchell married Harriet Houghton, daughter of Nathaniel Houghton and Ann Catherine Burgoine, in Nov 18, 1873. James Gilbert Houghton married Susan Drew in circa 1872 age 17 and 17; mar 27 y in 1910 census. Lucy Elen Houghton married Elbridge Stone. Birth Dec 14, 1856 Waterford, Oxford Co., ME, USA, age 3 in 1860 census; age 13 in 1870 census; age 23 in 1880 census; MLM: Edith M. as separate daug., 04 Jan 1856? Mary Ettie Stone Houghton married Edward Knowlton. 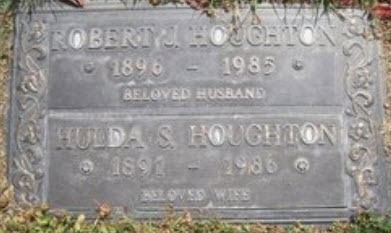 Abel Howard Houghton married Laura E. Winslow in circa 1883 age 24 and 19; mar 17 years in 1900 census. Ira A. Newell married Louella Frances Houghton, daughter of Levi Howard Houghton and Elizabeth T. Robbins, in Mar 18, 1872 MLM: 1871. 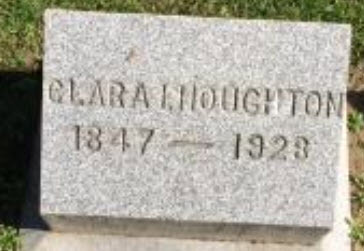 Clara Corurnwell married John Douglass Houghton, son of Levi Howard Houghton and Elizabeth T. Robbins, in circa 1871 mar 29 years in 1900 census. 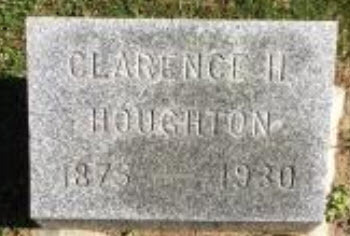 Clarence Howard Houghton married Eva H. Robinson in Apr 18, 1900 at ME, USA. Edith Marion Houghton married Fred Hatch Small in Nov 8, 1899. Susan Drew married James Gilbert Houghton, son of Levi Howard Houghton and Elizabeth T. Robbins, in circa 1872 age 17 and 17; mar 27 y in 1910 census. Marriage circa 1900 age 16? Harry Drew Houghton married Nell M. Bomber in circa 1900 age 16? Robert James Houghton married Hulda Sipple in circa 1917 age 21 and 26. Elbridge Stone married Lucy Elen Houghton, daughter of Levi Howard Houghton and Elizabeth T. Robbins. Edward Knowlton married Mary Ettie Stone Houghton, daughter of Levi Howard Houghton and Elizabeth T. Robbins.